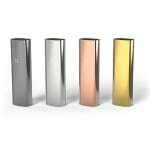 The legendary Pax Labs have released yet another revolutionary portable dual use vaporizer, the Pax 3. The Pax 3 is now compatible with both dry herb and concentrates. 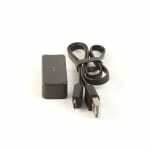 With the Pax 3 packing a built-in battery with a capacity of 3500mAh, it is a serious upgrade from the Pax 2 which carried a 3000mAh battery, now you can enjoy up to 5-10 vaping sessions before your battery dies out. The Pax 3 heats up in only 15 seconds with an evenly spread heat distribution around the herb for impeccable flavor and vapor production. 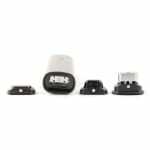 This vaporizer comes with a magnetic charger that snaps into place when placing the vaporizer over the charging device, and can be fully charged in 90 minutes.The Pax 3 is designed with a smooth, sleek polished aluminium chassis, available in a variety of colors. 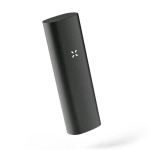 The Pax 3 is designed with just one control button located at the top of the device that turns on and off the device, changes temperature by holding down the control button for 2 seconds, as well as cycle through 4 different pre-set levels.Shake your Pax 3 to see battery life, with 1 LED light indicating very low battery life and 4 LED lights indicating a fully charged battery. Not worth the price jump. I agree with Mark. If you're into concentrates and waxes this is an upgrade from the Pax 2. If you don't use it for either, then it doesn't justify the upgrade. The battery is A LOT BETTER (but not worth the price tag if you charge it) and it looks a bit nicer (but defintely not $100 better). I like the Pax 2. 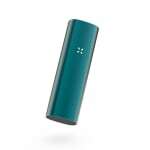 It's a great device, so if I was into concentrates and waxes I'd definitely want to pick up the Pax 3. I don't, so I'm sticking with the 2. Bought this hoping it was an upgrade from my PAX 2, but I’m not really finding it to be any different. Same heating system. I guess it has the concentrates capabilities, but I don’t really use those anyway (although now I kind of feel like I have to to make it worth it). It works well, but I wouldn’t buy it again. The Cadillac of portable herbal vaporizers. 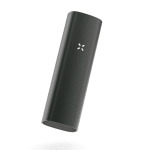 Don't get me wrong the Volcano is great if you're at home or at a party with about 20 people but, if you're looking for a PORTABLE vaporizer, the Pax 3 is simply the best thing going today. 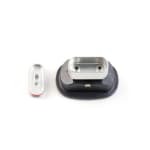 I remember being a bit upset when I found out that there were only three temp settings, but they work perfectly with the device on any herbs and concentrate. Pax 3 vapes like a boss and hasn't let me down at all. I get nice flavour from it, and my girlfriend loves it too.